Fleas and ticks keep right on biting until the first hard frost. Protect your pets against nasty bites, tapeworm, and tick-borne diseases with Frontline GOLD, the once-a-month topical treatment that kills fleas, ticks, and lice for 30 days. 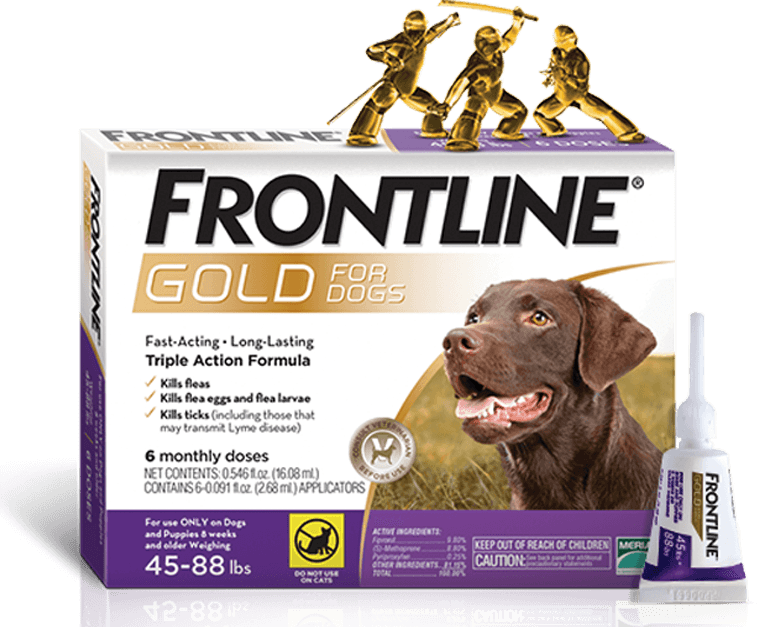 We carry Frontline GOLD for cats and dogs of all sizes. Purchase a three-month supply and get a fourth month free. When you buy a six-month supply, you'll receive 20% off your purchase as well as 2 free doses. These offers are not available through pet supply stores or online suppliers. Transmitted to dogs by mosquitoes, heartworm infests the heart with often fatal consequences. Help prevent heartworm disease by protecting your pet year-round with Heartgard Plus, a once-a-month medication in a chewable treat form. Heartgard Plus kills immature heartworms as well as canine roundworms and hookworms in the intestinal tract. 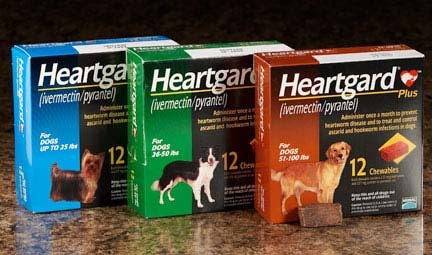 Receive a $12 manufacturer's rebate when you purchase a year's supply of Heartgard Plus, available only through veterinarians. 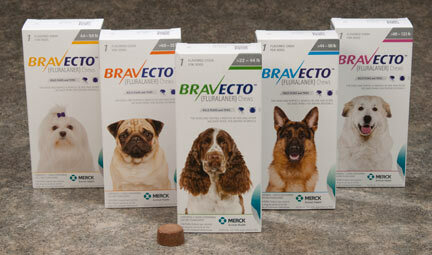 Bravecto is the first oral chew to provide up to 12 weeks of protection against fleas and ticks. One chew starts to kill fleas within 2 hours and controls 3 tick species (black-legged, American dog, brown dog) for 3 months and the lone star tick for 8 weeks.